When things go wrong and we have more month than money, it can be difficult to keep the family fed, the bills paid, and a roof over your heads. 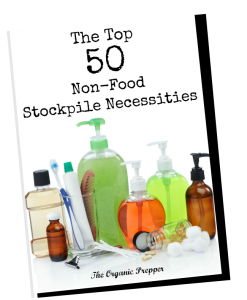 However, if you have built a well-stocked prepper’s pantry, you have one less thing to worry about when you have no money for groceries. The best investments in these questionable times are those which are tangible. Having a food supply, purchased at a good price during good times, can be invaluable if things become more difficult. And by “more difficult” I’m not necessarily talking about a massive, national economic collapse or an epic natural disaster. Anyone can have a difficult week (or month or year). Maybe an unexpected expense arose, like a trip to the emergency room or a car repair. Perhaps a job was lost or hours were cut at work. It’s possible that something happened that made the primary breadwinner for the family unable to work for a time. Whatever the case, having some supplies put back can really help you through a rough spot. 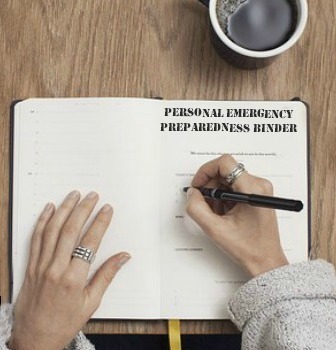 While some folks have room in their budgets for these shortfalls or added expenses, a growing number of Americans are one paycheck away from disaster. The key is this: when times are good, you should focus on loading up your pantry for when times are not so good. It’s not a new idea. It’s how our ancestors did it because they never knew when a fluke cold snap would kill their crops, when a predator might get the animal they were depending on for food or when a drought would occur. Much has been written about the specific items to stock in your pantry, so this is just a general list. The best case scenario is to store what you already eat. If you generally eat meals with a lot of meat and little plant protein, you’re going to feel deprived if you suddenly switch from steak to beans. If you tend to eat lots of protein and vegetables, you’re not going to feel your best if you suddenly switch to a diet loaded with starches and high in carbohydrates. One really good way to see what you’re already eating is to write down everything your family consumes for a couple of weeks. You can probably remember most of what you had the past week to give yourself a guideline. Now, while everything is normal, take a long hard look at your consumption. Are these foods that you can stock up on or do you focus on things that require a couple of trips to the store per week for freshness. If the latter is the case, you might want to make some simple adjustments so that it will be easier to maintain your diet in difficult times. You need to think in terms of meals. Those who think in individual components like this are the ones who will end up near the end of the pantry stretch eating canned peaches, stale saltines, and pureed pumpkin for dinner. Not the most enticing combo, right? One really great way to stock up and have familiar food on hand is to think about 7 meals that your family enjoys. Then, purchase for your pantry the ingredients for 4 of each of those meals. Here are a few quick tips. Look for non-perishable options, like freeze dried mushrooms and bell peppers for your spaghetti sauce. Repackage meat carefully for your freezer in meal-sized servings. Learn how to make baked goods from scratch and stock up on the ingredients you need for them. Keep fruit and veggies on hand in frozen, dehydrated, and canned form. Use emergency food to extend a small amount of leftovers to feed the whole family. Bread: Stock up on the ingredients to make it yourself. Store-bought bread is usually loaded with additives so learning to bake your own is a worthy skill regardless of whether you intend to survive from your pantry. It couldn’t be easier – check out this 5-minute recipe for artisan bread. Fresh fruit: Frozen fruit is pretty yummy. In fact, my (slightly odd) kids enjoy gnawing on it right out of the freezer. You can also use it in smoothies, thaw and top yogurt or pancakes with it, or bake with it. We are huge applesauce fans, so I can a few dozen jars of this each fall. I also can peach and pear slices in honey for a sweet treat, and loads of homemade jam which can be used in a multitude of ways that do not include toast. Salad: If you have a sunny windowsill you can grow salad greens all year long to sate your craving for fresh greens. There are lots of delicious microgreen kits on the market, and even some kits that are soil-free. Other alternatives are home-canned coleslaw or lightly cooked veggie salads made from freezer vegetables. Vegetables: You really don’t have to have fresh asparagus in February, contrary to what the grocery stores portray. While I do can some vegetables, canned veggies are really NOT my favorite. I prefer fresh cooked al dente. The closest I can get to that with my food storage is frozen veggies, lightly steamed. I also keep dehydrated veggies on hand for cooking with: mushrooms, bell pepper, onion, etc. If you have a root cellar, lots of good veggies can be stored there. After a big move, lots of fencing, shelters for animals, etc., etc, etc., I’m deliberately sticking to a month of food from the pantry in order to catch up. A normal grocery bill can be anywhere between 75-200 per week around here, depending on what’s on sale, whether I’m stocking up on a bargain, or if it’s garden season. Here are some of the meals I’m creating from my pantry and freezer. We have an unlimited supply of eggs with 10 hens laying enthusiastically, so most breakfasts center around them. In our house, lunch is often leftovers from the night before. I usually try to cook enough for this very purpose. We do have some other standbys, though. The crock pot gets a whole lot of use in my house. I love the fact that the meal is almost completely hands off while I’m busy doing other things. Of course, not all of our recipes are crock pot ones! Here are some of the dinners we have had over the past couple of weeks. Now, this list is just one of ideas from my own kitchen. How can you adapt your own family favorites to be pantry-friendly? Do you have some pantry standbys for rough times? How would you fare if there was no money for extra groceries for a month or longer? Share your ideas and inspiration in the comments below.